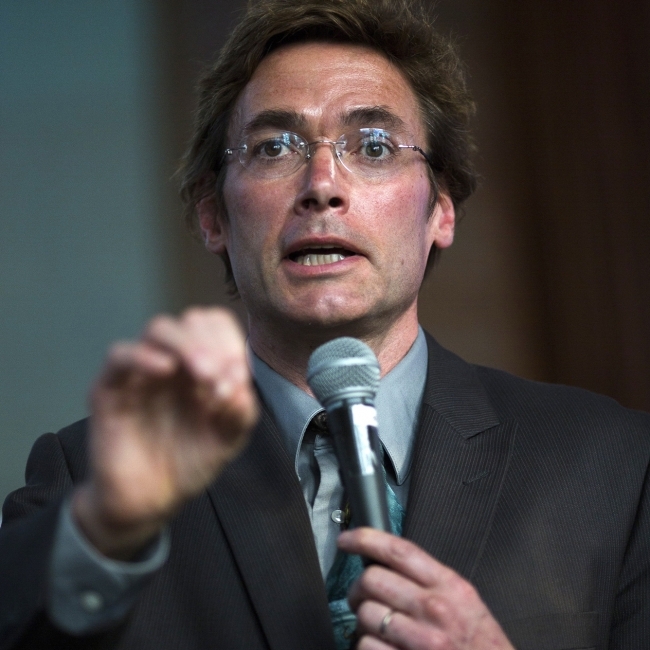 So sayeth Dr. Marc Edwards, someone known for challenging systems in the interest of helping communities in crisis. Most recently, Dr. Edwards has been recognized for blowing the whistle on the water infrastructure failure in Flint, MI. 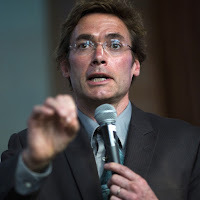 The Community Psychology Practice Blog is sharing an interview Dr. Edwards gave regarding both Flint as well as the important role of science in protecting people and communities. While Edwards has degrees in biophysics and engineering, he endorses many values that correspond to the practice of community psychology. Identifying as a scientist generally, he notes in the interview shared here, “Science should be about pursuing the truth and helping people. If you’re doing it for any other reason, you really ought to question your motives.” The discipline of community psychology espouses this very concept, and, as many practitioners know all too well, the path to public good can be . . . bumpy. Dr. Edwards argues that this path is made even more dangerous by the ways academia incentivizes its faculty to refrain from dissention when funders (especially governmental funders) might be called into question. The desire to fund good work can sometimes overshadow the warning that something is wrong, especially when those funding relationships might evaporate with one disagreement or media interview. Everything in life has a price: emotional, financial, temporal. How does this value of give and take get reflected in our science? Do our motivations mirror the intention to do good despite the funding trap that leads to silence when warnings should be shouted? 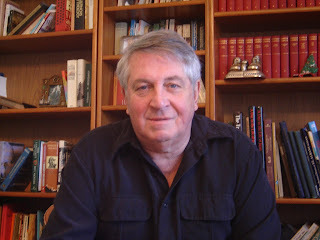 Dr. Edwards argues that “the systems built to support scientists do not reward moral courage and that the university pipeline contains toxins of its own — which, if ignored, will corrode public faith in science.” That corrosion can be seen in a wide range of domains from the environment, to education, to homelessness, to substance abuse treatment. Historical abuse of vulnerable populations and communities of color continue and compound distrust as more and more scientists are silenced in the name of expediency. How do we fund good programs and the scientific evaluations of those programs without losing our way when unanticipated results may not be favorable? The Nicholtown Child and Family Collaborative project aims to create a community-based, two-generation community center in a high-needs area of Greenville, South Carolina, known as Nicholtown. This paper provides an outline of the steps taken to achieve progress towards this purpose, as well as recommendations and lessons learned for others who wish to execute similar projects. NCFC was established to provide services for the children and families of Nicholtown to improve child outcomes; provide parent training, education, and employment; and build lasting community infrastructure (1, 2). The project will include a two-generation model, a standard that has been used by Head Start and other welfare reform programs since the 1980s and 1990s (3-5). It has been noted that two-generation programs share 3 important features: 1) a developmentally appropriate early childhood program, 2) a parenting education component, and 3) an adult education, literacy, or job skills and training component (6). The City of Greenville laid out a Neighborhood Plan in 2011, which included a Master Plan for Nicholtown, an urban neighborhood encompassing 390 acres in the heart of Greenville (7). The Master Plan for Nicholtown was an indicator of long-standing interest in revitalizing the historic neighborhood. Nicholtown community members had been pleased with the housing progress in their neighborhood, but were disgruntled by the inattention to their children and community. They wanted a school and community center that would provide resources for their children and families. Therefore, after demolition and reconstruction of low-income housing had been completed (the first step of the Master Plan), the next step was to provide for the children and families of Nicholtown. Identification and recruitment of stakeholders. Chandra Dillard, a South Carolina State Representative, began work on assembling the Collaborative in 2012, shortly after the first housing revitalization steps of the Nicholtown Master Plan were complete. She heard the needs of her community, and first sought to rectify the situation by approaching the executive director of SHARE/Head Start in Greenville County. SHARE/Head Start was the first contact due to the fact that the housing phase of the Master Plan had inadvertently eradicated and not relocated the former location of Head Start in Nicholtown. Head Start was in favor of building a new early learning facility for its return to Nicholtown, and advised the Nicholtown Representatives to start a collaborative of professionals who could properly research and fundraise for this effort. The next step was to approach organizations with vested interests in children, families, communities, and education. Greenville community leaders with success in projects like NCFC’s, people who could guide best practices and outcomes, and Nicholtown community members and leadership were invited to join the NCFC. Current stakeholders include local healthcare providers; community finance leadership; local, city, state and federal organizations with interest in children and families; elected officials (community, city, state); attorneys; Nicholtown community members; local universities; the Nicholtown Neighborhood Association; Nicholtown community centers; marketing professionals; and construction professionals. The most recent estimated number of NCFC members (as of January 2016) was 36, including the Project Coordinator and Collaborative Chair. Collaborative’s first steps. May 2014, a consultant was hired to begin work on a sustainable strategy for moving forward with the NCFC Project. Once the assessment of Nicholtown and the Greenville community was complete, a final presentation was given to the Nicholtown Early Learning Collaborative and its Stakeholders. Several useful documents were generated to guide progress, including the “Nicholtown Early Learning Collaborative (now NCFC) Recommendations” (1). · assessed materials provided by the United Way of Greenville. · worked towards gathering data and tools used by the consultant and other research/analyst and nonprofit entities to understand the work that had been previously done, and determine the best way forward in executing the NCFC recommendations and plan. · met with the consultants to receive data, learn more about the methods and process for data collection, and hear feedback about the project and its direction. · met with Collaborative members, Chairs of each existing committee, as well as “priority” people involved with the Collaborative. · met with Head Start leadership, as this was clearly a direction that the NCFC recommendations and key Collaborative members were in agreement that the NCFC project should go. · placed high priority on forming strong relationships with leadership at the recommended site for NCFC programs and progress. · sought relationships with other non-profits working in the neighborhood to understand what other services were being provided (or not) in the area. · began attending monthly Nicholtown Neighborhood Association meetings to boost face recognition and relationships with the Nicholtown residents and community. · referred back to the recommendations provided by the consultant, as well as the data from the community (1) to explore potential partners missing from the NCFC. High priority was placed on finding resources that could be placed in Nicholtown to serve both the community and NCFC goals for no cost to NCFC. A community engagement event was held in late 2015; at least 33 adults and 25 children from the Nicholtown community attended and participated. NCFC leadership shared progress and gathered feedback on the project, as a result of the survey data that was collected from them. The purpose of this event was to involve the Nicholtown community in the NCFC process as active participants in the project. Leadership from a local healthcare system, NCFC, and leadership from the identified Nicholtown community empowerment site met to discuss potential partnerships. The Greenville Health System will provide a mobile clinic at least once a month that will be parked at the community hub. Furthermore, discussions between a service for young children who have special developmental needs, the NCFC, and the mobile clinic have initiated interest in bringing services to Nicholtown. Additionally, discussions with the Department of Health and Environmental Control (DHEC) have indicated that there is interest in returning to Nicholtown to facilitate health needs for families and children. The ultimate goal of the NCFC, supported by the Nicholtown Master Plan and the recommendations from the consultant (1, 8), is to create a two-generation community empowerment center. The community empowerment center will place heavy emphasis on early learning, but will also offer support to children and their families as children grow. Therefore, with these goals in mind, we decided to visit other successful projects both in the South Carolina Upstate and the Southeastern U.S. in order to learn from their achievements and pitfalls. Lessons learned from each visit were reported and discussed at NCFC meetings. · Reviews of the data collected by the consultant indicate that there is interest both within Nicholtown, and in the greater Greenville community in the NCFC project and its goals, including stakeholders who are already involved in NCFC, entities who would potentially provide financial support, and the Nicholtown community members/residents (1). · Each person comes to the project with her own agenda. This can make achieving the goals of the NCFC challenging at times, requiring strong leadership, communication, and negotiation. The group must be unified by the common goal of serving the children (and families) of Nicholtown. · Relationships with stakeholders must be fostered, and it is essential to keep them engaged in the project’s progress. · It is fundamentally important to assess current stakeholders in the NCFC project when considering a new aspect of work that must be done to further the NCFC goals. As a volunteer Collaborative with only one paid staff member, it is crucial to sustain and make use of the resources present within the Collaborative. · Continue to re-examine the recommendations set forth by the consultant to ensure that there are not gaps that could be filled by new stakeholders. · Each person involved in NCFC has a different skillset, and may be able to identify gaps that others may overlook. · Site visits were helpful in considering possible paths forward, ways to address challenges, team-building and fostering relationships within NCFC, self-discovery of assets and resources, and gaining concrete concepts of similar successful. The NCFC project is an ongoing project in the heart of Greenville, South Carolina, which is in the Upstate region of the state. Collaborative members and leadership have worked hard to make this an inclusive project that engages the community as it progresses. Much work remains to be done, but a mindful adherence to recommendations from consultants and community engagement frameworks will guide the project to successful, community-accepted completion. 1. The Strategic Organization. Nicholtown Early Learning Task Force Recommendations. 2014 October 20, 2014. Report No. 2. The Nicholtown Early Learning Taskforce Executive Committee. Notes on Vision and Mission for NELT. [Committee Meeting Notes]. In press 2015. 3. Collins RC. Head Start: Steps toward a Two-Generation Program Strategy. Young Children. 1993;48(2). 4. Duch H. Redefining parent involvement in Head Start: a two-generation approach. Early Child Development and Care. 2005;175(1):23-35. 5. Chase-Lansdale PL, Brooks-Gunn J. Two-Generation Programs in the Twenty-First Century. The Future of Children. 2014;24(1):13-39. 6. St. Pierre R, Layzer JI, Barnes HV. Regenerating two-generation programs: Abt Associates; 1996. 7. City of Greenville. Neighborhood Plans 2011 [Available from: http://www.greenvillesc.gov/250/Neighborhood-Plans. 8. Urban Collage I, URS, Robert Charles Lesser & Co., & J. Peters & Assoc. Nicholtown Master Plan Final Report. 2004. 9. Israel BA, Schulz, A. J., Parker, E. A., & Becker, A. B. Review of community-based research: Assessing partnership approaches to improve public health. Annual Review of Public Health. 1998;19:173-202. 10. Israel BA, Krieger J, Vlahov D, Ciske S, Foley M, Fortin P, et al. Challenges and facilitating factors in sustaining community-based participatory reserach partnerships: Lessons learned from the Detroit, New York City, and Seattle urban research centers. Journal of Urban Health. 2006;83(6):1022-40. 11. Holden RJ, McDougald Scott AM, Hoonakker PL, Hundt AS, Carayon P. Data collection challenges in community settings: insights from two field studies of patients with chronic disease. Quality of Life Research. 2015;24(5):1043-55.